For each of the 32 recognised phyla, this book presents detailed classifications, revised taxonomic synopses, updated information on general biology and anatomy, and current phylogenetic hypotheses. 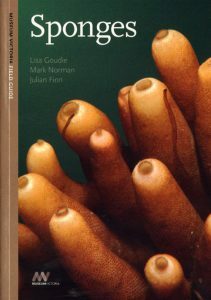 In the 12 years between the publication of the second and third editions of this book, fundamental shifts occurred in our understanding of the origins and evolutionary relationships among protists and animals. These changes are largely due to the explosion of molecular phylogenetics and evo-devo research, emergence of the new field of animal genomics, major new fossil discoveries, and important new embryological and ultrastructural studies. As a result, new phyla have been described, and old phyla have been collapsed into others. Phyla once thought to be deuterostomes are now part of the protostome clade, and the Protostomia has been reorganised into two major clades known as Ecdysozoa and Spiralia. Invertebrates, Third Edition integrates these latest developments, organised with boxes and tables and illustrated with abundant line drawings and new colour photos. 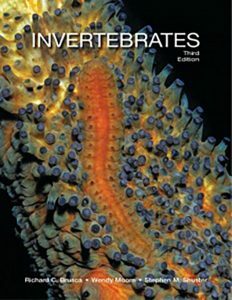 This benchmark volume on our modern views of invertebrate biology should be in every zoologist’s library. In Minibeasts, Jess French looks at amazing invertebrates found all over the world, from bird-eating tarantulas to glow-in-the-dark scorpions, and from metre-long stick insects to bat-eating centipedes. Jess uses her vast knowledge and unparalled zeal for insects to dive headfirst into the breathtaking world of invertebrates and explore some of their unbelievable adaptations and evolution. Fancy meeting a foot-long centipede or a spider the size of your dinner plate? With Jess’s help you can do just that from the safety of your sofa. Discover how minibeasts mate, fight, hide, collaborate, evolve and survive in the most extreme of earth’s conditions. Learn about the exquisite and perfect co-evolution of nectar-drinking insects and the flowers they pollinate. Shudder at tales of wasps that turn their prey into zombie hosts and worms that eat their prey from the inside out. And marvel at the dedication of minibeast parents, from fathers who stop eating in order to dedicate all their time to fanning their eggs, to mothers sacrificing their bodies as a cannibalistic offering for their offspring’s first meal. 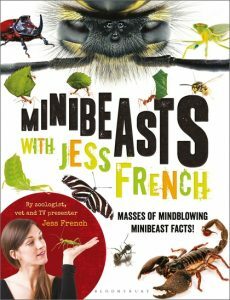 Let Jess’s exuberant text enlighten you on the fascinating and extreme world of the minibeast, revealing everything from firefly morse code to mid-flight kamikaze mating, all captured in superb detail through incredible photography. 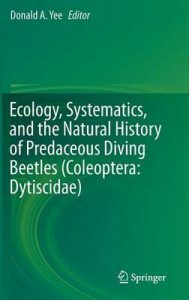 Ecology, Systematics, and the Natural History of Predaceous Diving beetles (Coleoptera: Dytiscidae). This title is not held in stock but we are happy to supply on special order. Please contact us. Predaceous diving beetles (Coleoptera: Dytiscidae) constitute one of the largest families of freshwater insects (~ 4,200 species). Although dytiscid adults and larvae are ubiquitous throughout a variety of aquatic habitats and are significant predators on other aquatic invertebrates and vertebrates, there are no compilations that have focused on summarizing the knowledge of their ecology, systematics, and biology. Such knowledge would benefit anyone working in aquatic systems where dytiscids are an important part of the food web. Moreover, this work will allow a greater appreciation of dytiscids as model organisms for investigations of fundamental principles derived from ecological and evolutionary theory. Contributed chapters are by authors who are actively engaged in studying dytiscids and each chapter offers a synthesis of the current knowledge of a variety of topics and will provide future directions for research. OUT OF STOCK. REPRINT UNDER CONSIDERATION. Macro photography brings the world of bugs to life! These creatures are all around us, yet too diminutive to be observed by the human eye. 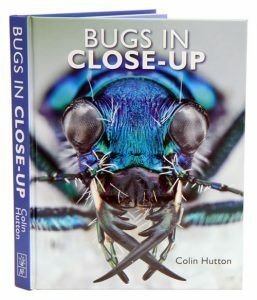 The extreme photographic close-ups featured in this book, illustrate a hidden fauna of alien-looking critters from around the world. 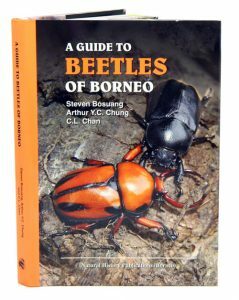 Covers a range of insects and their behaviours including assassin bugs, rhinoceros beetles, insect swarms and societies (army ants, bees and so on), inter-species relationships (ants ‘farming’ caterpillars), and giants of the bug world (beetles, stick insects and the like). The incredible photography is supported by informative, extended captions detailing the subjects and, in some cases, how the images were taken. Artist/Author: Cranshaw, Whitney and Richard Redak. Provides a lively introduction to the biology and natural history of insects and their non insect cousins, such as spiders, scorpions, and centipedes. Richly illustrated by over 800 colour photographs, this textbook provides a concise overview of the basics of entomology with numerous sidebars that highlight and explain key points. Detailed chapters cover each of the major insect groups, describing their physiology, behaviours, feeding habits, reproduction, human interactions, and more. 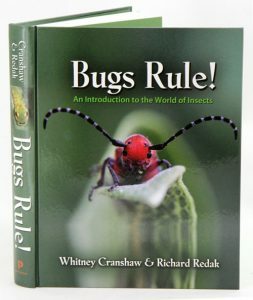 It covers the biology and natural history of all the insect orders while also providing a thorough review of the non insect arthropods, such as spiders, scorpions, centipedes, millipedes, and crustaceans. 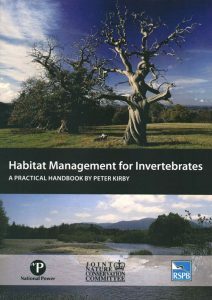 A practical guide to the management of habitat for invertebrates. Many invertebrates are highly specialised creatures with very precise habitat requirements, meaning that they can be very sensitive indicators of environmental change. It also means that they can be lost from a site through small changes in management of their habitat. This book is a practical manual covering management for invertebrates: it provides guidelines to enable reserve managers and conservationists to take account of the vulnerable habitat features so important to invertebrates. The introduction gives an overview of British invertebrate species, site size and vegetation structure, management need of invertebrates and a summary of invertebrate survey methods. The author then deals, chapter-by-chapter, with each major habitat type: woodland, grasslands, lowland heaths, freshwater wetlands, and coastlands. 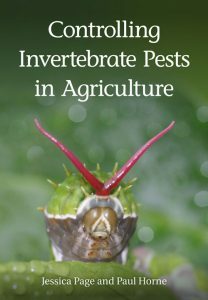 Although this book has a British focus, information is transferable and will be useful for all those working with invertebrates. Sponges: a Museum Victoria field guide. Artist/Author: Goudie, Lisa, Mark Norman and Julian Finn. Sponges come in all shapes and sizes, occur in all oceans of the world, and have amazing lives. Sponges have lived in our oceans for 600 million years. Ancient forms even built reefs bigger than the Great Barrier Reef. Today, sponges help clean our oceans, are experts are chemical warfare and can rebuild themselves after being torn apart. Some even live for 2,000 years. There is still much to learn about the diversity and biology of sponges in southern Australian waters, with many species still waiting for formal scientific description. This guide introduces naturalists, beachcombers, divers and others to sponge species commonly encountered in southern Australia. Artist/Author: Page, Jessica and Paul Horne. Discusses the principles of pest management and relates this to historical methods as well as current and future directions. It describes current practice, the concept of agricultural ecosystems, the role of pesticides and cultural control options. A separate chapter covers biological control and the different ways in which this may be implemented. The book provides a detailed examination of the application of pesticides, the different types that are available and how they may be integrated into more holistic approaches. A summary of all available pest control measures is given to allow the reader to decide which approach is best to adopt. The authors clearly describe why the most ecologically sound methods are not always adopted, but also explain why they can be adopted with great success. Examples of successful implementation of Integrated Pest Management are highlighted, and also a discussion on what is required in the future to achieve successful control of pests in a sustainable manner. An Archispirostreptus gigas that seems to float at speed on a wave of tiny feet is a sight that can by now be beheld at many terrarium fairs. The apparent effortlessness with which these invertebrates coordinate their small but at the same time numerous limbs is something every observer finds puzzling. Spectacular colors and the unusual body shape of some species have meanwhile made millipedes to widely kept terrarium animals whose reasonable space requirements render them perfect for trendy nano terraria. 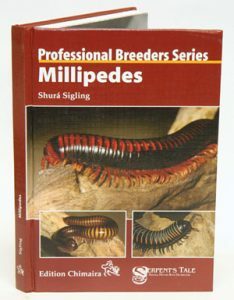 Shurá Sigling shares her years of experience with these primeval animals with the ever-growing fan community of millipedes and here presents a manual that provides practical and proven suggestions for how to keep them successfully. Hidden away within living tissues, parasites are all around us – and inside us. Yet, despite their unsavoury characteristics, as we find in this compulsively readable book, parasites have played an enormous role in civilizations through time and around the globe. Puts amoebae, roundworms, tapeworms, mites, and others at the centre of the action as human cultures have evolved and declined. It shows their role in exploration, war, and even terrorist plots, often through an unpredictable ripple effect. It reveals them as invisible threats in our food, water, and luggage; as invaders that have shaped behaviours and taboos; and as unexpected partners in such venues as crime scene investigations. This book also describes their evolution and life histories and considers their significant benefits. 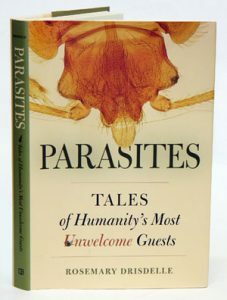 Deftly blending the sociological with the scientific, this natural and social history of parasites looks closely at a fascinating, often disgusting group of organisms and discovers that they are in fact an integral thread in the web of life. Arthropods of tropical forests: spatio-temporal dynamics and resource use in the canopy. Artist/Author: Basset, Yves, Roger Kitching, Vojtech Novotny and Scott E. Miller. Print on demand title. This title is not held in stock but we are happy to supply on special order. Please contact us. This book is a comprehensive review of the ecology of tropical rainforest insects and spiders. Arthropods are the most diverse group of organisms on our planet and the tropical rainforests represent the most biologically diverse of all ecosystems. This book, written by 79 authors contributing to 35 chapters, aims to provide an overview of data collected during recent studies in Australia, Africa, Asia, and South America. 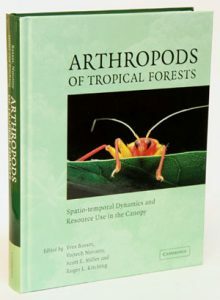 The book focuses on the distribution of arthropods and their use of resources in the rainforest canopies, providing a basis for comparison between the forest ecosystems of the main biogeographical regions. Topics covered include the distribution of arthropods along vertical gradients and the relationship between the soil/litter habitat and the forest canopy. The temporal dynamics of arthropod communities, habitats and food selection are examined within and among tropical tree crowns, as are the effects of forest disturbance. Also available in paperback [stock id 29091].